During the 2009-2011 breeding season we deployed 24 satellite tags on female southern elephant seals, to track their movements at sea. 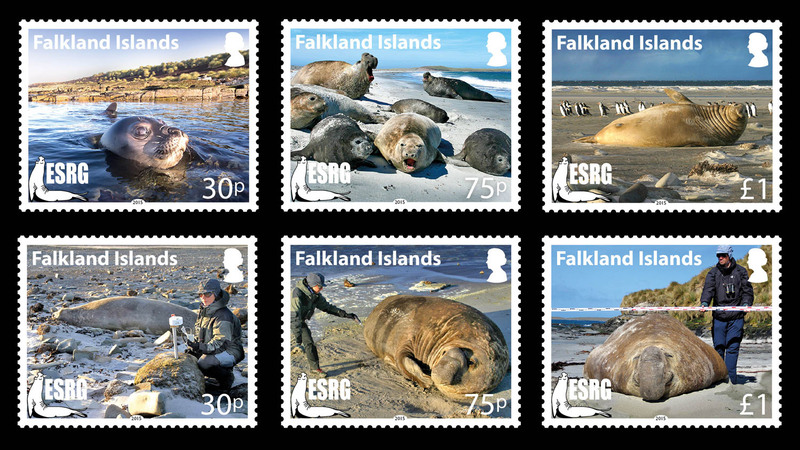 Although SES females have been frequently satellite tagged in other populations of the South Georgia stock, this is the first time that a tracking-at-sea project on elephant seals was carried out in the Falklands. 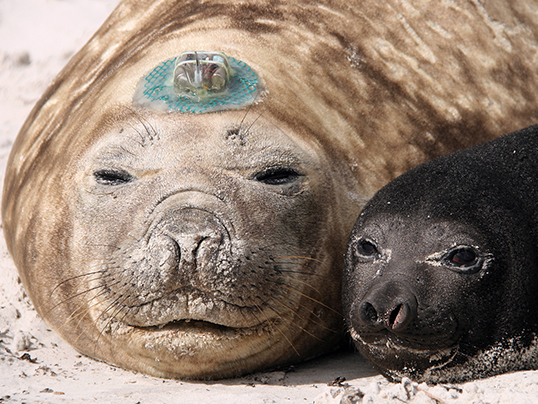 SLI represents an ideal place for a large scale tracking project, due to the tameness of the seals, the easiness of the logistics, and the availability of a large amount of background information on the possible subjects to be tagged. 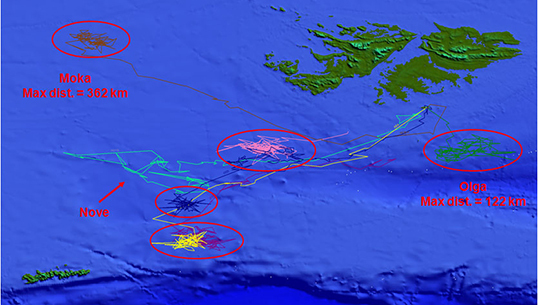 The information collected until now about movements at sea, although preliminary and based on a small sample, highlights some very interesting, and not expected, patterns, with some seals foraging rather close to the Falklands, and some other moving around the tip of South America to the Pacific Ocean. 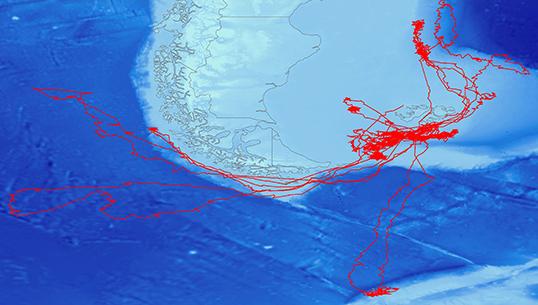 The fact that some females forage close, and in one case very close, to the Falklands suggests that there can be a direct interaction with human activities (fisheries, oil exploration), and a greater local responsibility in securing a safe future to SLI elephant seals than previously expected.